LINCOLN, Neb. — State officials say the flooding that swept Nebraska has caused nearly $1.4 billion in estimated losses and damage. Gov. Pete Ricketts said Wednesday that roads, levies and other infrastructure have sustained an estimated $449 million in damage. Damage to private homes and businesses has reached $85 million so far. The flooding has also taken a heavy toll on agriculture, inundating tens of thousands of acres, threatening stockpiled grain and killing livestock. Farmers have experienced $400 million in cattle losses and $440 million in crop losses. Minnesota Gov. Tim Walz has sent Minnesota Army National Guard troops to Nebraska to help with the flood disaster. Walz, a native of Nebraska and retired Minnesota National Guard member, said in a statement that there’s no question the flooding calls for “critical, efficient and fast action” to protect lives and property. 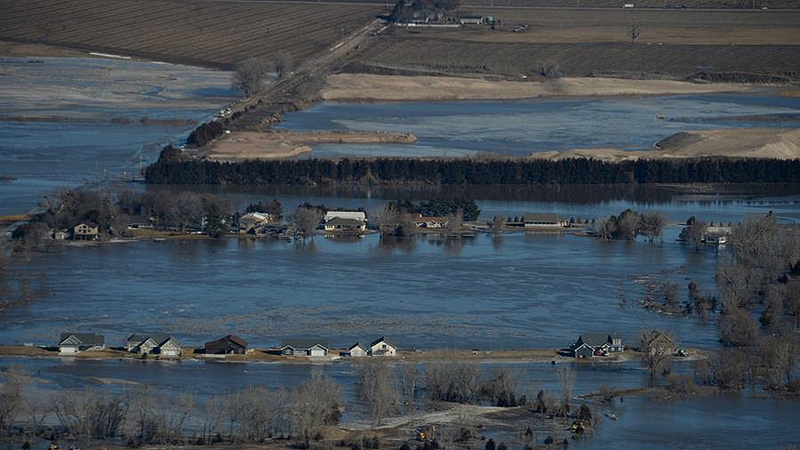 The Missouri River flooding has busted more than a dozen levees in Nebraska, Iowa, and Missouri. 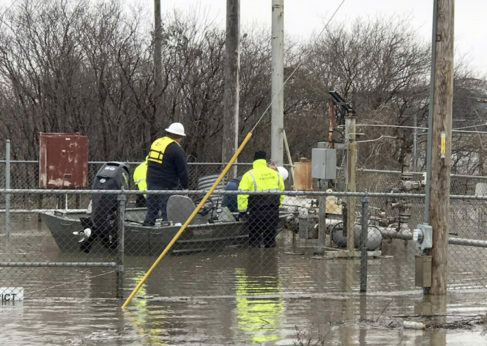 According to an article in Z News, the Santee Sioux Tribe of Nebraska suffered a water line break and a brief power outage last week after five power lines were toppled by floodwaters and ice. The tribe was forced to evacuate some elderly citizens and families with children to its casino just south of its main community. Chairman Roger Trudell said several tribes have stepped up to help during his people’s time of need, including the Winnebago, Ponca, Sisseton Wahpeton Oyate and Yankton Sioux. He said the Red Cross donated baby supplies, and the Ponca Tribe donated 18 pallets of bottled water, or nearly 1,300 cases of water. The Winnebago Tribe also provided water and baby supplies. According to Farm Aid, some farmers are giving up hope for being able to plant in flooded fields this year. For family farmers and ranchers already teetering on the edge from low prices and an ongoing trade war, this latest disaster is the last thing they need. As they’ve done in the past during times of urgent need, Farm Aid has activated our Family Farm Disaster Fund to provide aid to help family farmers in the affected region.